The Education Act of 1870 allowed for the setting up of Local School Boards. Hucknall quickly established its Board and as a result, constructed these schools (boys, girls and infants) at a cost of £2000, due to the interest of Mr JE Ellis, coal owner. 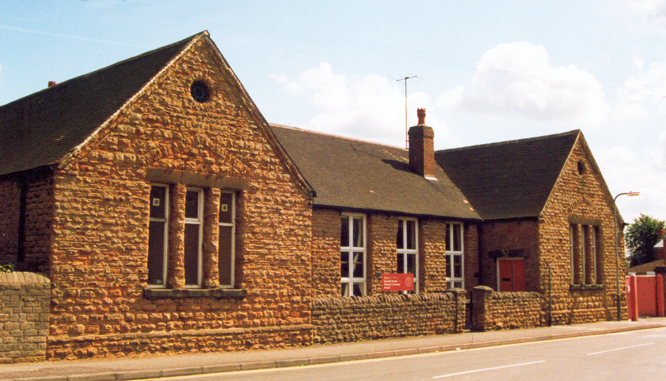 This beautiful stone building was the first Board school in Nottinghamshire, if not the first in the country. It housed boys, girls and infants. A report dated 2nd January 1873 said the school was open. The school finally closed in 2014 and is currently being used as a private nursery.